Can you believe it is nearly Father's Day already? What do you buy for the Dad in your life? I've come up with a list of items for different types of Dads. Goose Island Ales offer something for everyone, maybe the India Pale Ale with its fruity aroma or the 312 Urban Wheat Ale which is one of President Obama’s favourites. My husband’s pick is the Honkers Ale which he says is perfect for a summer afternoon in the garden. All ales are priced at £1.75 and available nationwide. The Real Shaving Company offer the perfect gift package for a three step grooming routine. All these great products come in easy to follow stages, Stage 1 to cleanse with a gentle exfoliating face scrub, Stage 2 to shave with a rich lather, and Stage 3 to maintain thanks to this sensitive moisturiser to help soothe and defend sensitive skin. These make a fabulous treat for any man who likes to look after his face. The products have classy packaging and are available from Boots, Waitrose and Sainsburys and are priced around £3.99. 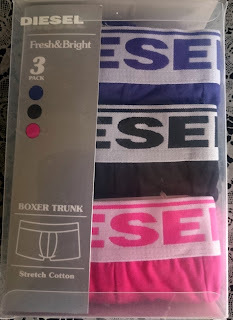 House of Fraser have some fabulous Father's Day gifts and I know how much my hubbie loves his boxer shorts. 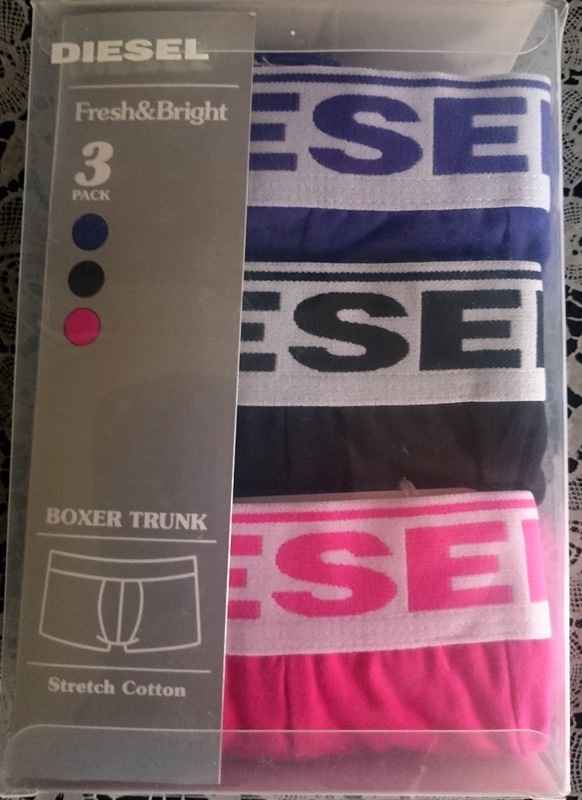 I love the colour of the box set from Diesel and although they usually cost £37 they are currently on sale at £29.60, a great bargain for the Dad who loves his undies. Colgate have brought out the new ProClinical C250 toothbrush in black. 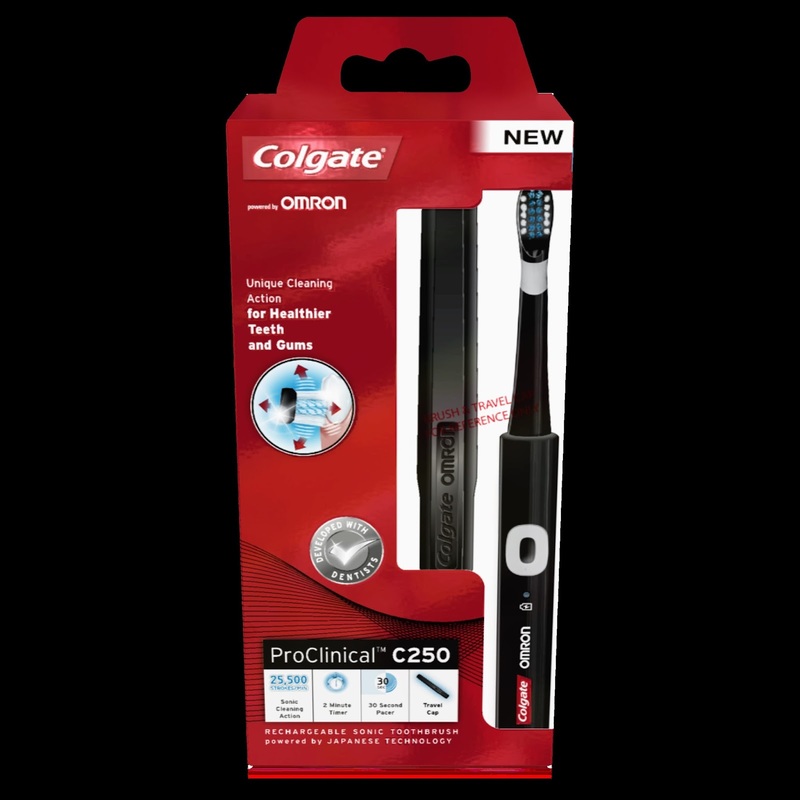 This toothbrush has been designed to deliver sonic vibrations with up to 25,500 strokes per minute which leads to a superior cleaning of both the teeth and gums, with a 2 minute timer to help you clean for the recommended amount of time. It is sleek, stylish and lightweight and would be ideal for the dad or man in your life. Priced at around £49.99 I’m sure you will agree it is well worth investing in good dental hygiene. The Braun HairClipper is a great way of keeping their hair in trim, it offers 9 length settings, lifetime lasting blades and is fully washable for ease of cleaning. The HairClipper is powered by a dual battery system and the batteries are fully charged in 8 hours, this gives 40 minutes of cordless use, or you can use it with the cord too. My hubbie loves the design of the HairClipper, it is really easy to use and comfortable to hold and gives a great finish. This product is available from online and costs around £39.99. 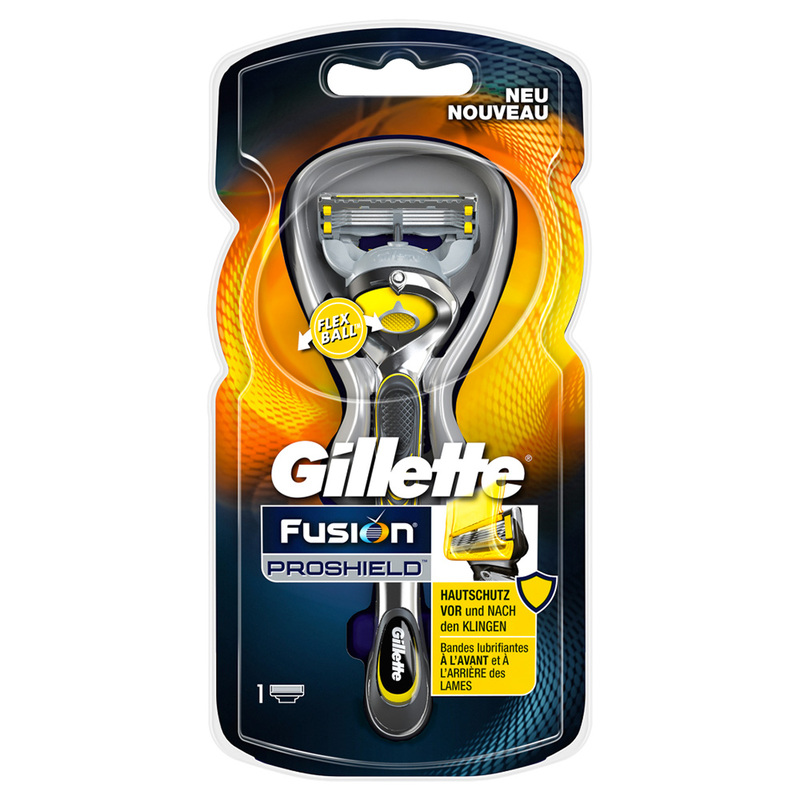 The Gillette Fusion ProShield wet razor offers perfect lubrication before and after the blades to help stop irritation. 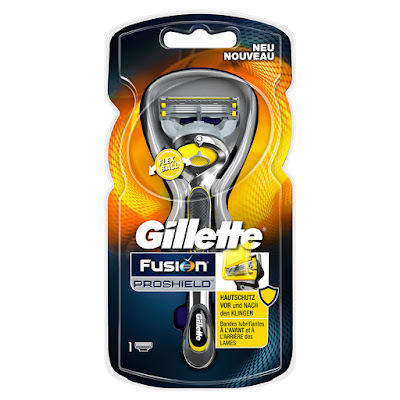 It has the 5 blade, FlexBall technology to ensure that close, smooth shaving experience. My hubbie is a huge fan of Gillette products and prefers a wet shave when he is not away. You can be this razor online or instore and it costs around £13.99. 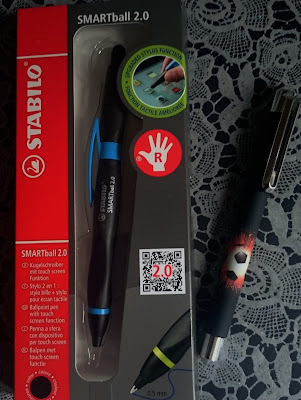 Stabilo have bought out the SMARTball pen which is a pen and stylus all in one. It has a ergonomic grip which enables a comfortable writing experience. 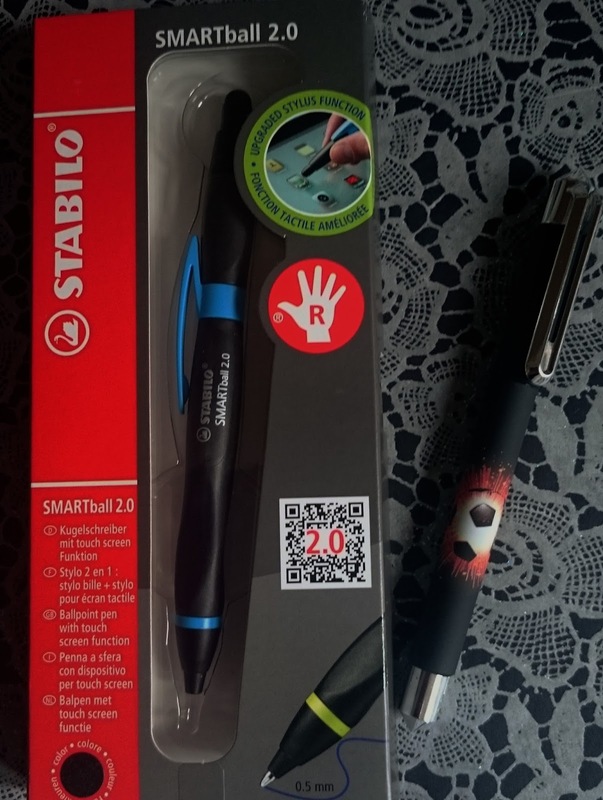 We love the fact that you can use this pen on your smart devices which means less greasy screens from fingertips. The SMARTball retails for around £12. Or how about the Rollerball which is available in various designs and patterns, made from non slip material this is one of my favourites and costs £7.99. Both are available online or at leading Stationers. Then the Slendertone Abs7 Toning Belt is the perfect gift. It has 10 toning programmes with 150 different intensity levels which help to tone and firm the abs in 4 weeks by following a programme. The belt uses advanced electronic muscle stimulation which activates the body’s natural muscle movements to ensure they all contract. Hubbie found the rechargeable belt to be really useful and he liked that it can be worn discreetly under his normal clothing and with his job he doesn’t get much time to visit the gym. I can’t wait to see the outcome. You can buy the Slendertone Abs7 Toning Belt from around £129.99. WaveWall have manufactured innovative phone cases which help to protect users from harmful electromagnetic radiation which is produced by mobile phones. The Wave Wall cases have undergone testing which has shown that they reduce this radiation by as much as 85%. WaveWall also make a Anti-Blue Light Screen Protector which blocks out harmful blue light from your eyes. Blue light can disrupt sleep patterns so this could be really useful. The cases are priced around £29.99 and the screen protectors around £7.99. My list could go on and on as there are so many brilliant items on the market today. What the would the Dad in your life like for Father's Day? Ooh that phone case sounds really interesting - We have to use phones for our alarm clock but the light is so distracting at night time. My OH would love a new electric toothbrush for Father's Day. I've always loved the gadgets brought out and sold for fathers day. These look great and any dad would be lucky to receive any one of these! I have yet to buy a gift for my dad this year. 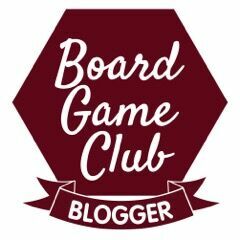 Great round up though, there's definitely some unusual picks in comparison to the beer and chocolate option I always go for! I think I need to point my wife to this post, so she can get me some ideas for Fathers day. Yes razors and a hair cutter is a great choice, my friends dad has been looking for a good waist trimmer for ages too! A great combination of products for father's day mine might need some shaving products. I've already got my Father's Day gift sorted but these are great ideas. Lovely gift ideas here for Father's Day. I need to get my gifts sorted next week. This has helped me so much - I had no idea what to get my Dad!! Some good ideas here, I always find my dad the hardest to buy presents for!